How Do Different Devices Provide My Oxygen? Oxygen therapy is administered in a variety of ways depending upon the circumstance, the patient’s requirements and the devices used. It is required in order to provide additional oxygen to the patient and to increase the level of oxygen in the body needed by your body to function. In most cases the oxygen first passes through a pressure regulator which controls the oxygen pressure as it passes from an oxygen cylinder to the device which is at a lower pressure. Once the oxygen is at this lower pressure, the flow of the oxygen can be controlled by a flow-meter and is measured in litres of oxygen per minute (lpm). The usual flow rate for most devices is between 0 and 15 lpm but can be as high as 25 lpm in some units. Many flow-meters are based on a ‘Thorpe tube’ design which can be set to ‘flush’ which is useful in an emergency situation. In room air the content of oxygen is only 21%, which although is adequate for healthy individuals, needs to be increased to help those with certain diseases or medical conditions in order to increase the oxygen that manages to get through to their blood stream. Usually increasing the oxygen to 30-35% is enough to make a significant difference and this can be achieved using a nasal cannula, a thin tube with an individual tube for each nostril. 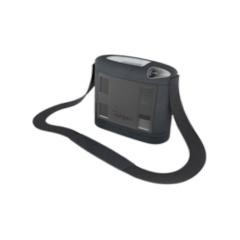 This can provide the oxygen at a low flow rate (0.25 to 6 lpm) to achieve an oxygen level of 24-40%. To achieve higher oxygen concentrations various face masks can be used including a simple face mask, which can deliver oxygen at 5-15 lpm to achieve 28-50% oxygen levels. The Venturi mask can provide oxygen up to 40% and a partial re-breathing mask, which includes a reservoir bag attached to it can provide oxygen at between 40% and 70% concentration. 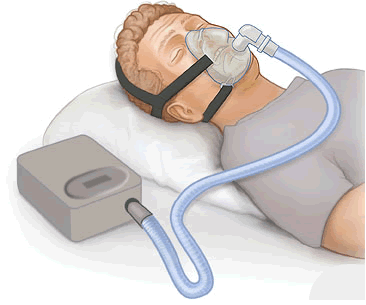 For patients requiring 100% oxygen the most common device is the non-breather or reservoir mask. This is similar to the re-breathing mask but has a number of valves to stop air that has been exhaled from the lungs from returning to the bag. At a flow rate of 10 lpm up to 80% oxygen levels can be achieved. For patients requiring the therapy on a constant long-term basis, the oxygen can be warmed and humidified before administration through the nasal cannula to prevent irritation and dryness. 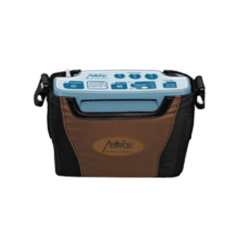 If a patient cannot breathe independently then positive pressure may be needed to force air into the lungs, which is provided by complex artificial respirator machines such as ventilators or a continuous positive airway pressure machine. Oxygen surrounds us and is fundamental for life and yet we can take it for granted and not realise that it’s a lot more than just a component of the air. Our atmosphere today contains around 21 percent oxygen. About 300 million years ago oxygen levels reached 35 percent and insects were able to grow super-large- think dragonflies with the wingspans of hawks. Oxygen does not actually burn as people think it does. However it does support the combustion of other substances and without a supply of oxygen, combustion ceases. If you think about it, if oxygen itself actually burnt, simply striking a match would be enough to burn all of the oxygen in our planet’s atmosphere. Almost two-thirds of the weight of living things comes from oxygen, mainly because living things contain a lot of water and 88.9 percent of water’s weight comes from oxygen. Oxygen (O2) is very unstable in our planet’s atmosphere as it is very reactive and must be constantly replenished by photosynthesis in green plants. Without plant life, our atmosphere would contain almost no oxygen. If we discover any other planets with atmospheres rich in oxygen, we will know that life is almost certainly present on these planets as significant quantities of oxygen will only exist on planets when it is released by living things. The Northern (and Southern) Lights: The green and dark-red colours in the aurora Borealis (and Australis) are caused by oxygen atoms. Highly energetic electrons from the solar wind split oxygen molecules high in earth’s atmosphere into excited, high energy atoms. These atoms lose energy by emitting photons, producing awe-inspiring light shows. These usually occur in the polar regions because solar electrons will accelerate along our planet’s magnetic field lines until they hit the atmosphere in the polar regions. A common urban myth is that hyperventilation is caused by breathing in too much oxygen. When we hyperventilate, we breathe too quickly, and this can lead to symptoms such as headache, light-headedness, dizziness, chest pains, tingling, slurred speech, fainting and spasms. Hyperventilation actually causes us to get rid of too much carbon dioxide from our bodies. The trouble with this is that we need carbon dioxide in our blood to stop it from becoming too alkaline. When we hyperventilate, we lose too much carbon dioxide, which disturbs the balance of substances in our blood, causing its pH to increase; this causes the blood vessels leading to our brains to get narrower, slowing the blood flow and decreasing the amount of oxygen reaching vital organs, leading to the symptoms of hyperventilation. As a gas, oxygen is clear. However as a liquid, it’s pale blue. If you’ve ever wondered what swimming in a pool of liquid oxygen would be like, the answer is very, very cold,(according to Carl Zorn of the Thomas Jefferson National Accelerator Facility). Oxygen must get down to minus 297.3 F (minus 183.0 C) to liquefy, so frostbite would be a bit of a problem. During an asthma attack, the smooth muscles of the bronchi contract, causing them to narrow, and the tissues lining the airways swell due to inflammation and mucus secretion into the airways. The top layer of the airway lining can become damaged and shed cells, further narrowing the diameter of the airway. A narrower airway requires the person to exert more effort to move the same amount of air in and out of the lungs. In asthma, the narrowing is reversible, meaning that with appropriate treatment or on their own, the muscular contractions of the airways stop, and the inflammation resolves so that the airways widen again, and the airflow into and out of the lungs returns to normal. Many inhaled allergens can trigger an asthma attack, including pollens, particles from dust mites, body secretions from cockroaches, particles from feathers, and animal dander. These allergens combine with immunoglobulin E (IgE, a type of antibody) on the surface of mast cells to trigger the release of asthma-causing chemicals from these cells. (This type of asthma is called allergic asthma.) Although food allergies induce asthma only rarely, certain foods (such as shellfish and peanuts) can induce severe attacks in people who are sensitive to these foods. Infectious triggers are usually viral respiratory infections, such as colds, bronchitis, and sometimes pneumonia. Irritants that can provoke an asthma attack include smoke from tobacco, marijuana products, or cocaine, fumes (such as from perfumes, cleaning products, air pollution), cold air, and stomach acid in the airways caused by gastroesophageal reflux disease (GERD). Additionally, people who have asthma can develop bronchoconstriction when exercising. Stress and anxiety can trigger mast cells to release histamine and leukotrienes and stimulate the vagus nerve (which connects to the airway smooth muscle), which then contracts and narrows the bronchi. 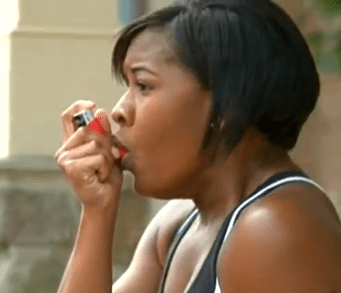 Asthma attacks can vary in frequency and severity. Some people are symptom-free most of the time, with only an occasional, brief, mild episode. Other people cough and wheeze most of the time and have more frequent and severe attacks. Part two to be continued…. The government has issued health warnings due to high levels of air pollution spreading across England this week. The pollution is a mix of local and European emissions and dust from the Sahara desert, and is affecting parts of southern England, the Midlands and East Anglia. The elderly and those with lung or heart disease are urged to avoid strenuous exercise outside. British Lung Foundation honorary medical adviser Dr Keith Prowse spoke today about the implications of high levels of pollution for people with lung disease. “Air pollution can have the greatest impact on people with pre-existing respiratory conditions such as chronic obstructive pulmonary disease (COPD) or asthma, worsening symptoms such as coughing and breathlessness. The dust from the Sahara that we are seeing at the moment are worsening many local air pollution levels. “When levels of air pollution are high, people with these conditions, or anyone else who finds themselves coughing or wheezing in times of high pollution, should avoid strenuous exercise outdoors and are better off trying to exercise away from pollution hotspots, such as busy roads or during rush hour. This is supposed to only last a few days but was high risk for people with asthma and other respiratory conditions. 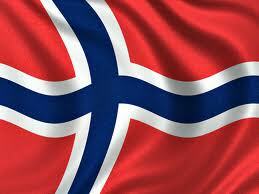 Going on holiday to Norway soon? DON’T LET THE USE OF OXYGEN CONFINE YOU! 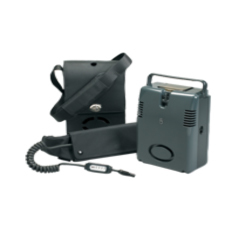 Customers travel on land, air and sea using Portable Oxygen Concentrators . The following International airlines approve the Inogen One, SeQual Eclipse and the Respironics EverGo: Air France, Air Canada, El Al Airlines, Alitalia, SAS Airlines, Lufthansa, Qantas, All Nipon Airways, ATA Airlines, Cathey Pacific, Icelandair, Norwegian, LTU International, Singapore Airlines, Swiss International, and Virgin Atlantic. 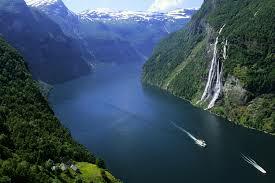 Many satisfied customers have used OxygenWorldwide for travelling to destinations such as Norway for their portable oxygen needs. 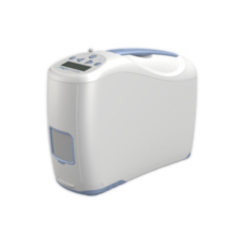 OxygenWorldwide has been a leader in servicing the needs of medical oxygen travelers. We are experienced in serving your medical, home and airline oxygen needs while you are on the go! What is fit to fly? Most travellers with existing medical conditions are able to fly without difficulty. However, occasionally certain precautions need to be taken. Most medical cases are straightforward, but some require individual assessment. In certain cases, we may ask that you and your doctor complete a “Fitness to Fly’ Form. Passengers carrying a POC should obtain a Medical Equipment Approval & Baggage Waiver letter. This approval & waiver letter must be presented at the Bag Drop desk or at the boarding gate if travelling with no checked baggage. If you wish to use a POC during flight, for the use onboard you will be required to complete a ‘Fit to Fly’ form which will be sent to the passenger once the requirement has been notified. This completed “Fit to Fly’ form must be returned between 14 up to 2 days prior to travel for validation. The validated “Fit to Fly form must be carried by the passenger on all flights and produced to our cabin crew on boarding the aircraft. If the POC is to be used onboard it is the passenger’s responsibility to ensure that they have a sufficient number of fully charged batteries for the duration of the flight and any possible delays, as POC or batteries cannot be charged on board. 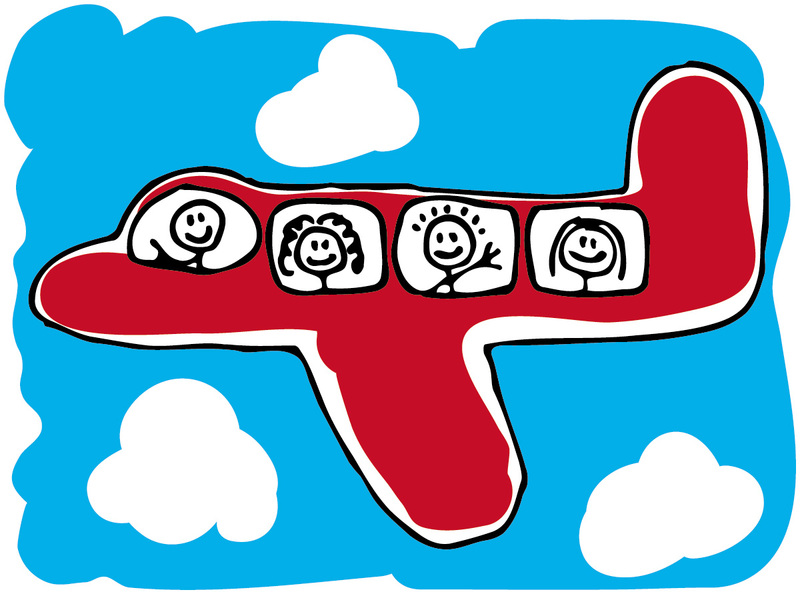 Individual airline carriers have their own regulations please check before booking departure for full details. The Yeatman is Porto’s finest hotel, and its Michelin-starred restaurant is well worth a visit even if you don’t stay the night. Rooftops of Porto and the Douro River. Photo by Dmitry Shakin / Getty Images. Szimpla Kert is the granddaddy of the garden bars and one of the best, now winterized to be open year-round. The Széchenyi Baths on a summer day in Budapest, Hungary. Photo by Ellen Rooney / Getty Images. Fancy a peek at a puffin? On the island of Grimsey, Iceland’s only true piece of the Artctic Circle, birds outnumber people 1000 to one. Divers can swim with seabirds, watching guillemots hunting for food deep in the crystal waters. Fire and Ice – Riders on the frozen Myvatn Lake. Photo by Reinhard Pantke / Getty Images. The best way to get around the Cinque Terre is with the Cinque Terre card available at all of the local train stations, which gives you unlimited use of the walking paths, electric village buses, the elevator in Riomaggiore and cultural exhibitions (one/two days €5/9). Colourful Riomaggiore, Cinque Terre. Photo by Sergio Del Rosso / Getty Images. To pedal your way through Moravian wine country, follow the Mikulov Wine Trail. The Mikulov tourist office (www.mikulov.cz/tourism) can help steer you to a one-day ride that takes in the nearby chateaux at Valtice and Lednice, stopping at small local vineyards along the way. Elderflower wine, Mikulov, Moravia, Czech Republic. Photo by Paul Harris / Getty Images. Get a taste of Bern’s locavore leanings at the popular Lötschberg AOC (www.loetschberg-aoc.ch), with an all-Swiss wine and beer list, local cheese specialities and seasonal produce. Bern’s Old Town and the Aare River. Izzet Keribar / Getty Images. For a true bouillabaisse experience, head to Le Rhul for a classic approach or L’Epuisette for a swank Michelin-starred experience; reserve in advance for both. Marseille’s Vieux Port. Photo by Alexandre Fundone / Getty Images. To experience Zagreb like a local, don’t miss Saturday morning špica, the coffee-drinking and people watching ritual that is the peak of the weekly social calendar. Plitvice Lakes National Park. Photo by Kelly Cheng / Getty Images. In October, Derry/Londonderry dusts off the skeletons and puts on the spooky makeup for the annual Halloween Carnival, Ireland’s biggest street party. Dawn on the Giant’s Causeway. Photo by Riccardo Spila / Getty Images. The strikingly modern Louisiana Museum of Modern Art in nearby Humelbæk is worth the side trip even if you’re not a passionate fan of modern art. Inside find Picasso, Giacometti and an entire wing for kids; outside find Henry Moore, Alexander Calder and artfully framed views across the water to Sweden. City bikers in Copenhagen. Photo by Dag Sundberg / Getty Images.